Handmade textile button style brooch. 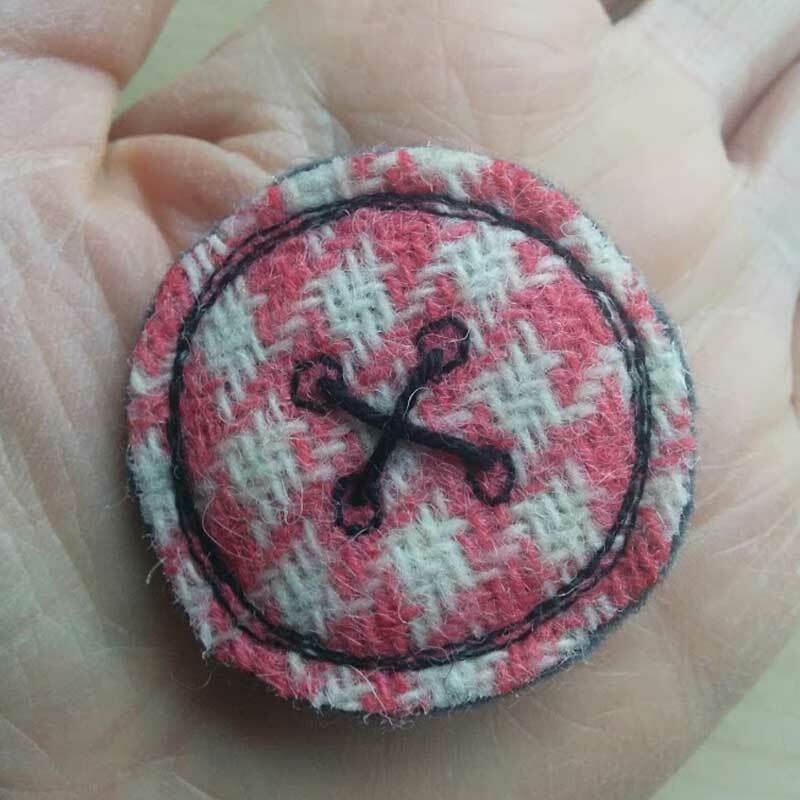 The brooch is made from a piece of pink and white houndstooth Harris Tweed handwoven in the Outer Hebrides from 100% pure wool and upcycled into textile jewellery in my studio on the Isle of Skye. The brooch is mounted on felt with a pin on the back. This pretty brooch measures approx. 4cm in diameter. Looks lovely on scarves, hats, bags or your lapel. Please note scarf pictured is just to show how the brooch looks on a scarf and is not included.